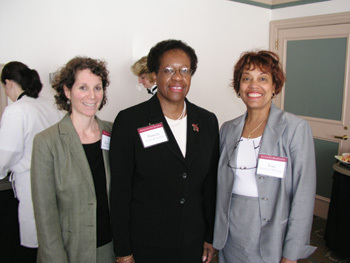 Attending the MBA's "Diversity in the Profession" conference are, from left, Women's Bar Executive Director Lissy Medvedow; Pamela Dashiell, counsel to the Attorney General-Boston and Antoinette Leoney, of the U.S. Attorney's Office. What can the organized bar do to increase the racial and ethnic diversity of practicing attorneys and law students? And how extensive is the "pipeline" problem in the first place? If your practice deals with tax-related issues or you advise nonprofit organizations on legal matters, an upcoming program offered by the MBA will help you guide your organization.